While it's always a classic and cool way to decorate your dorm, hanging a bunch of photos of friends and family can be taken up a notch. 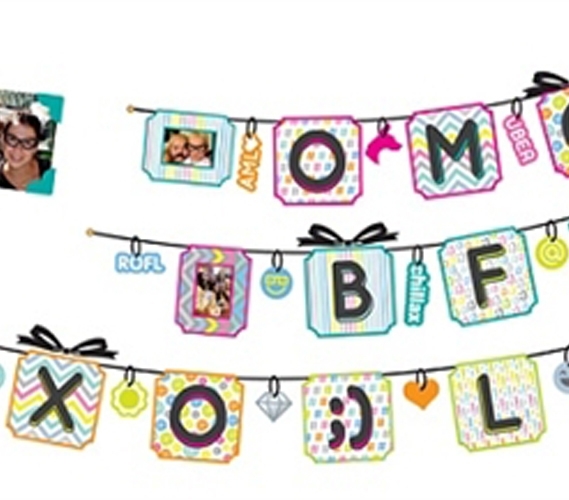 Since heavy, wooden photo frames probably aren't the best idea for dorm walls, the fun frames in this Stickr Banner - (39 Pieces) make a great, colorful alternative. 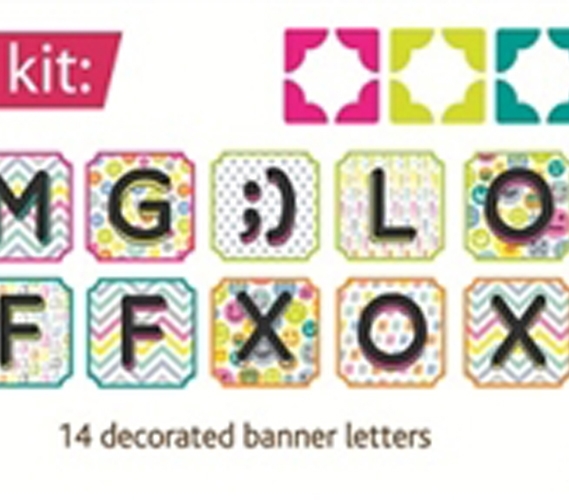 This sticker banner set comes with 4 banners for photos, various stick-on letters and some just-for-fun little stickers as well. Ever wonder what your best friend would look like in glasses? Put some sticker glasses on her photo and find out! Your dorm decorating ideas can really get crazy with these sticker dorm wall decorations. These adhesive stickers and banners are adhesive yet still removable and reusable—there will be no residue or damage left on your dorm walls, mirrors, or wherever you choose to affix these dorm decorations. Every college student will have dorm posters and pictures of friends, pets, and places traveled. So take your college decor beyond what every other student will have. 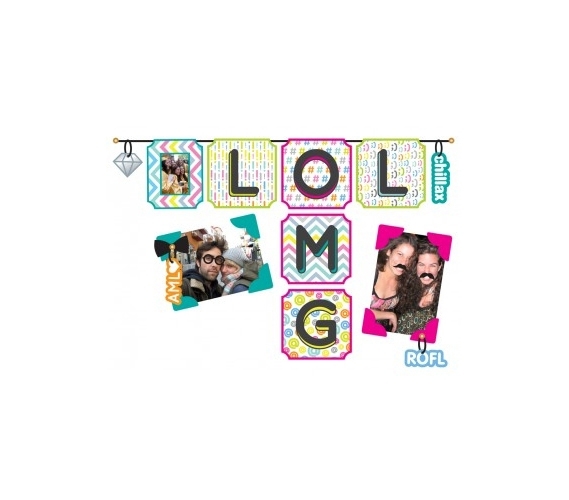 This set of stickers incorporates your own photos while letting you get colorful and even a little crazy with that dorm wall decor. No one can say you won't have a good time while decorating your dorm!